"I don't really have a sound as such," says producer Mick Glossop. "I like variety, as it keeps things interesting." That's just as well because looking back over his five-decade recording career, Mick's engineering and production credits cover a vast range of artists. He's been in the studio with everyone from Queen to The Waterboys, recorded huge names in glam and punk rock, and been Van Morrison's studio collaborator for 35 years. 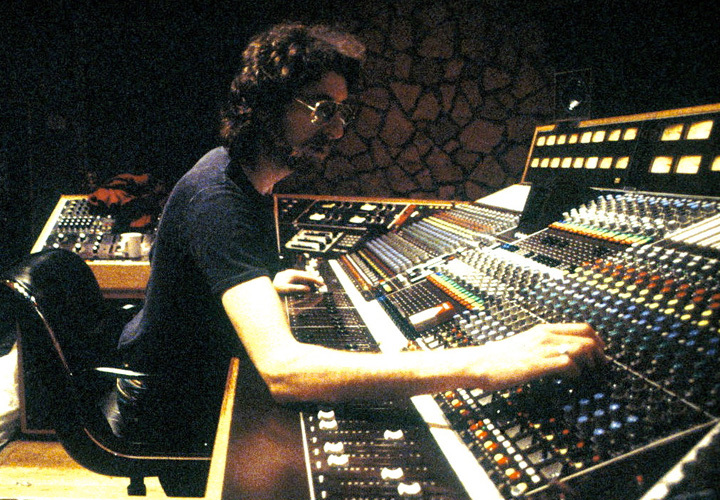 Mick realised from an early age that he wanted to combine a passion for electronics and music and managed to get a job that did just that at Wessex Studios where he worked as a maintenance engineer. But after sitting in on sessions with the likes of Tom Jones, Engelbert Humperdinck, King Crimson, and The Moody Blues, he realised that the role of engineer suited him better. 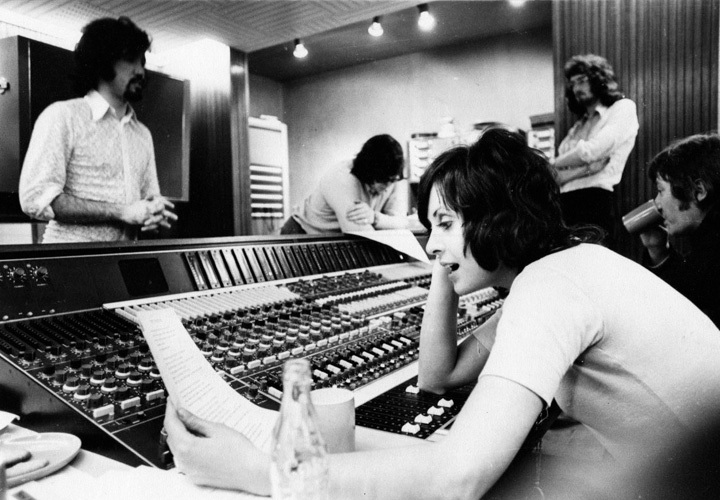 Mick then moved to Nova Studios, where he assisted on sessions with glam rock artists Mud and The Sweet and many other acts, including Joe Cocker. "You would sit there operating tape machines," he recalls, "putting mics up and learning from the engineers and producers there — you learnt a lot that way." 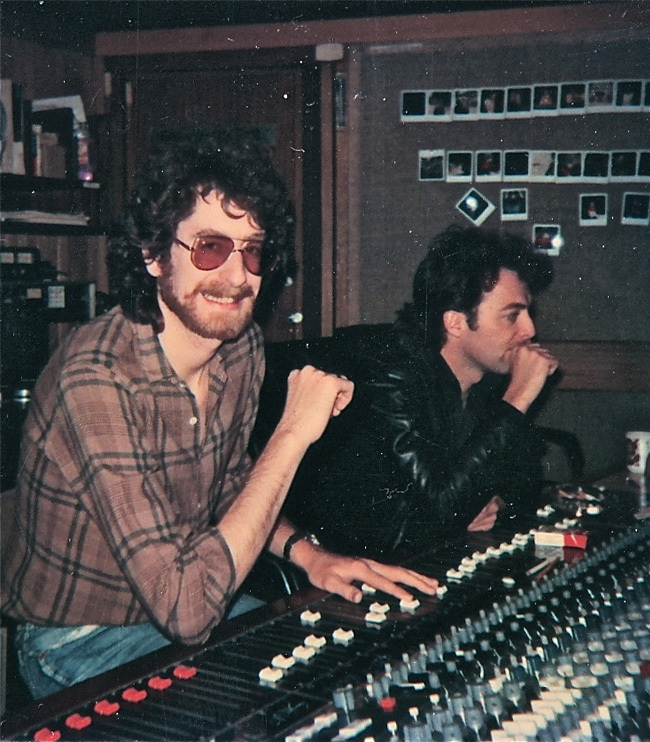 After a stint in Canada, Mick landed the job of staff engineer at the Manor Studios — the old Virgin Records country studio where Richard Branson, Phil, and Tom Newman had set up to record Mike Oldfield's groundbreaking Tubular Bells. "Lots of big artists went there, but the gear wasn't that great," Mick recalls. "So the technical director Phil Newell and I redesigned the place. It really took off again, and I got to work with lots of great bands. Elton John came up with Kiki Dee, and Queen recorded there. I was always in and out of the studio helping out, and you soon realised that after spending about 15 minutes in the studio with all of the big names, they are just like normal people. They just want to get on with the job." While at the Manor, Mick came into contact with Van Morrison during the recording of his album A Period Of Transition. "I helped out on that, and a year later, Van came back to the Manor and asked me to engineer the Wavelength album, and that led to a long relationship. I've always been a fan, so it's been a great privilege to work with him." Richard Branson wanted to mirror the success of the Manor in London, so Mick helped set up Townhouse studios and worked there with many punk bands, including Public Image Limited, The Ruts, and The Skids. "A lot of punk bands were very suspicious of the music industry," Mick explains. "But I got on great, as I think a lot of them looked at the engineer as more of a friend. You were just trying to get the sound on their record rather than trying to tell them to change their music. It was a challenge because the thing about punk was that it wasn't about having great musical skills, it was about attitude. But it was fantastic, as most of those artists were making their first record, so it was an opportunity in the studio to help with that process." Mick's role, therefore, morphed into being a producer — an in-demand one at that. Throughout the '80s, he produced The Waterboys (including the single "The Whole Of The Moon") and The Wonder Stuff ("Dizzy"). Since then, he has mixed several albums for Lloyd Cole and has co-produced Canadian singer/songwriters Jeremy Walsh and Rachelle van Zanten, as well as the acclaimed American blues pianist David Maxwell. Mick was also instrumental in setting up the Music Producers Guild, of which he is still a director. "It's about sharing experiences between engineers and producers — a self help group, if you like." "To get a great sound," says Mick, as we dig deeper into the heart of his recording ethos, "you have to go to the source. You have to have great sound coming out of the amplifier, the drum kit or whatever, and that depends totally on the ability of the musician. For example, if guitarists don't have great muscle power, you might get fret buzz or not place your fingers in the right place. It’s easier with thin strings on your guitar, but thin strings make for a bad guitar sound — especially if you are looking for a chunky, rock rhythm sound with power chords." Mick says that when mic'ing up an electric guitar, you should try and experiment. "Choose different mics, and put them in different places," he says. "Don't get trapped in the 'get a Shure SM57 and put it six inches away from the cone' routine. I typically put three mics up on the cab, and quite often, I might not even label them on the console — just as 'mic 1,' 'mic 2,' and 'mic 3.' But the important thing is that you push the fader up and decide if it sounds any good, and use whatever one or combination sounds best. "I've discovered things by accident this way, too," he adds. "One time, we'd recorded a couple of hours of guitar overdubs, and I went into the studio and noticed that the assistant had positioned the mic so it was pointing upward rather than at the cone, as he thought it was a side-axis mic. But it actually sounded quite good, so that sense of experimentation is important." As to the actual mics, Mick is a fan of the Royer Labs range. 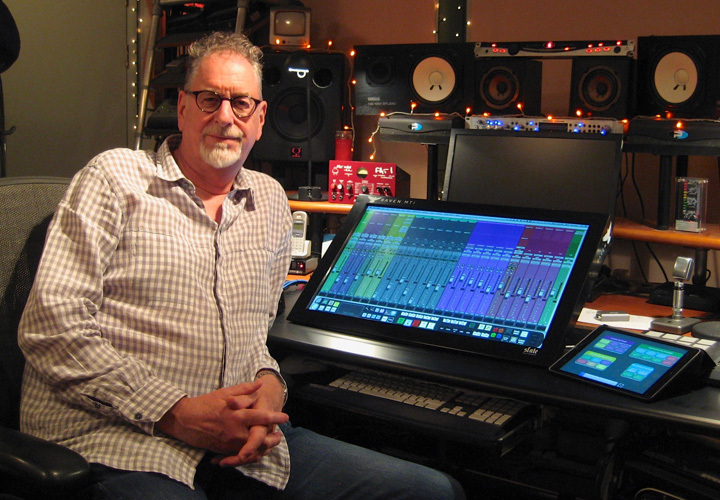 "I just did a session at Air Edel Studios, and they have a selection of Royers, and they're great — especially the R-121 and R-122. I'd use a Royer and a Neumann U47 — that covers a lot of situations. I do have some weird mics, like an old carbon one that is probably about 80 years old. Carbon mics were used in telephones years ago, so you get that narrow band sound. Its response is something like 700hz to 2500Hz — incredibly narrow — but occasionally, I'll use it and blend it with a full range mic." Mick has another great tip when your guitar is sounding too bass heavy, and it might surprise you. "If the sound is too thick for the role it has to play in the song, the solution is often not just to EQ out some of the lower frequencies. Instead, talk to the musician about playing a different inversion of the chord higher up the neck, so you find a musical solution before you get into using EQ." Mick has obviously worked with some incredible vocalists and argues that the relationship between vocalist and producer is more important than the recording technique. "With a singer, their body is the instrument, so a lot of them are sensitive to how that works. It's harder for them to perform in the studio where you are the only audience. There's no screaming crowd of fans giving them that energy, so you have to find artificial ways to help them. Flattery and compliments are the obvious things, as you have to try and make people feel that they are important. Someone once told me that the singer has got to feel like you are their biggest fan in the control room, but you do have to temper that with some criticism. It's no good saying everything is good. "The biggest aspect is that they must have confidence in you as the producer," Mick continues. "There's nothing worse than going to the studio where there is some doubt about that because that is a recipe for disaster. They should believe that you are on their side and that you want to help them make the greatest record ever." And which are the best microphones to help realise that perfect vocal? "I do have some standards, but again, I like to experiment," says Mick. "Van Morrison has a very powerful voice and will sing very close to a mic, so a condenser is not always the best choice. Quite often, I'll use dynamics. A Sennheiser MD421 works very well. A classic AKG C414 will be good for a light, breathy singer or a Sony C37. Experiment at the stage where they are doing a guide vocal because when they are ready to sing, you don't want to spend an hour choosing a microphone." When it comes to drums, Mick still experiments but does have some standard techniques. "I'd typically use a Shure SM57 on the top of a snare and either 57s or Sennheiser 421s on the toms. But Air Edel had a Telefunken kit with five clip-on mics that sounded fantastic, so I used them." Overall, what are some of Mick's favourite studio tools? "The Eventide Harmoniser 910 and the AMS digital delay. When recording guitars, I always like to have a harmoniser in the channel, and I'll feed in a bit of that to be part of the sound. There's also a dynamic equaliser I like, the BSS DPR-901, which is four compressor/expanders. It's fantastic, as certain singers have a peak frequency in their voice that you need to control. This lets you focus on and compress that narrow band. I also like the Lexicon 480 reverb, and the AMS reverb has also always been a favourite." Mick also told us about the best experiences he’s had with the artists he has enjoyed recording most over the past five decades. "Obviously Van Morrison but also Frank Zappa," Mick answers. "I was a big fan before we met, so that was pretty special. The Waterboys were great — Mike Scott is a very creative guy, great songs and ideas. The Wonder Stuff was another one, a bunch of great guys. And I also worked with a band called Rain from Liverpool and The Four Of Us from Belfast who were both really good." Mick has recently completed more recordings for Lloyd Cole and Sebastopol and is currently mixing the Seattle-based UK electronic artist Paul Clark. He has one last piece of advice for aspiring producers. "You have to be very determined, as lots of people want to work in music. It's great fun getting paid to do your hobby, it's never a drag being in the studio. You have to be prepared to work long hours, so forget about a social life. And obviously, listen to as much music as possible, and especially note the arrangements. The arrangement of a song is almost as important as the song itself." To read more about Mick Glossop, check out his website here.